It seems appropriate that Marcus Browne, with little desire to dwell on the past or peer too deeply into the future these days, decided to hole himself up in the secluded environs of Colorado Springs for his latest training camp. 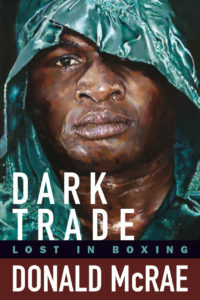 It is here, at altitudes of seven thousand feet above sea level, that the light heavyweight contender, residing in a bare-bones cabin surrounded only by his coach and a few sparring partners, has been able to insulate himself from the kind of lures that might otherwise tempt him back home in the tri-state area. The seriousness, the tunnel vision, the self-imposed isolation—all befit the occasion. For Browne, a 2012 Olympian who turned twenty-eight in November, a victory over Jack, a proven fighter, would give him a shot at relevancy after years of quietly amassing an undefeated record of 22-0 (16) composed of journeymen and gatekeepers. His last several fights have been, to say the least, unmemorable: A first-round KO of fringe contender Francy Ntetu in January 2018 was followed by a ten-round snoozer against Lenin Castillo in August, when Browne had to overcome a knockdown in the fifth round en route to a unanimous decision win. One cannot help but also view Browne’s retreat to the mountaintops of Colorado as a deft move to stay out of view of a scrutinizing public, given that his name made headlines last year for incidents unrelated to the ring. Indeed, in a span of ten months, Browne was arrested three times on domestic violence allegations involving the same woman, his ex-girlfriend and the mother of his child—this in an era of heightened awareness concerning abuse in all forms. The latest run-in occurred in October 2018, when Browne was charged with choking his ex-girlfriend and violating a restraining order. Browne posted a $2,500 bail and pleaded not guilty to all charges stemming from the incident. He is scheduled to appear in court on January 30, ten days after the Jack fight. Browne refused to comment on his legal status but had some words of advice for those trying to pry into it. Still, it is hard not to wonder if Browne could have forged a different fate for himself. 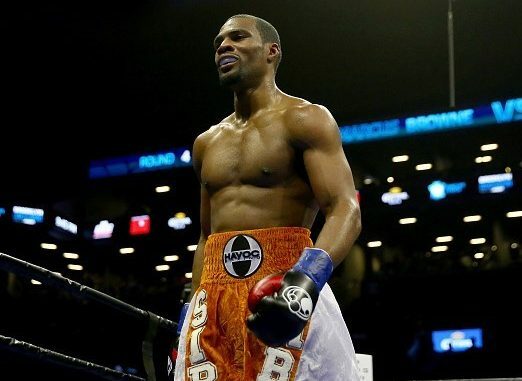 After all, the second arrest, back in March 2018, had far-reaching consequences not only for Browne but the light-heavyweight division as a whole: it effectively led to the cancellation of an agreed-upon fight with beltholder Sergey Kovalev at Madison Square Garden. Kovalev’s promoter, Kathy Duva, uninterested in taking on the risk of Browne’s legal situation, decided instead to pair Kovalev with Colombian contender Eleider Alvarez, who would go on to knock out Kovalev in spectacular fashion on August 4 in Atlantic City. Asked if he regretted that he lost out on a chance to have been in Alvarez’s position, Browne refused to speculate.